There is one robot on both sides of the press. 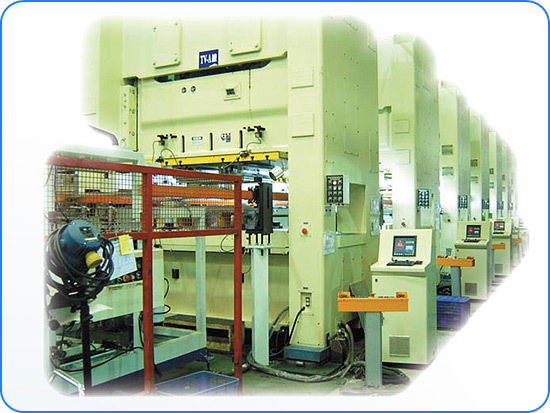 Fix the fingers upon the robots to clamp the workpiece so that two bar system can keep excellent stability without former end vibration and finger arm droop. 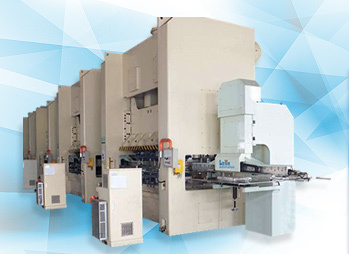 This type is suitable for medium and large scaled sheet metal. 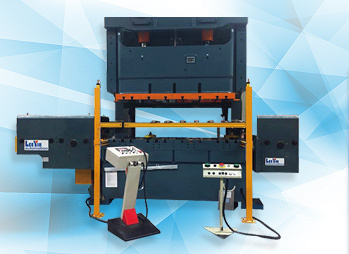 Suitable for the longitudinal arrayal of H frame presses, the dual-beam transfer robot could be integrated with several presses into an automatic stamping line as the processes required.The embedded LCD Man-Machine-Inter face (MMI) in the control panel rovides the easy access to monitor. With LCD Man-Machine-Interface (MMI) in the control panel embedded, monitoring the running status is much easier. 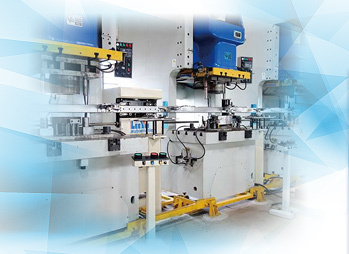 The highly automatic production line could reinforce the safety of workshop, boost the productivity, stabilize the quality and efficiently diminish the inferior rate and cost.